Hunting in the North and Alaska demands rugged yet functional gear. This 100% polyester brushed tricot shell fabric has been laminated to a polymer membrane that is waterproof 8,000mm and breathable 5,000G/M2 with durable water repellent (DWR) surface coating so the water beads off. The garment is lined with 210T polyester mesh for increased breath- ability, mobility, and protection of the lamination from abrasion. Oversized construction leaves extra room for layering on cold days. Jacket features include waterproof zippers throughout, hand warmer pockets, chest storage pocket, functional hood with 3-way adjustment, velcro cuffs, and open bottom with draw cords. Pant features include side hand warmer pockets, side pant leg zippers with velcro strap, and drawcord at waistband. 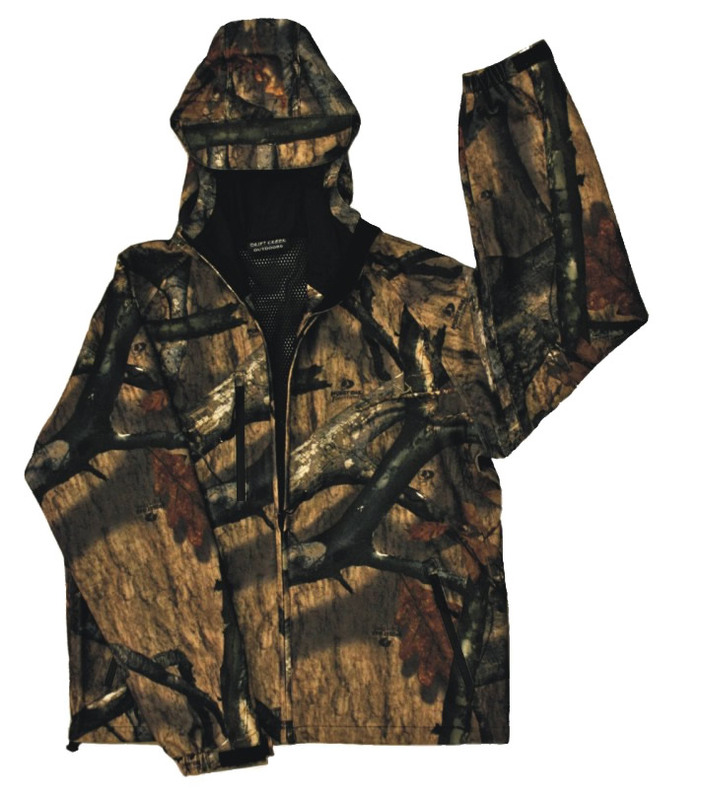 This raingear has been success- fully field tested by experienced sportsman with great reviews.